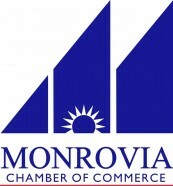 For questions, please contact the Monrovia Chamber at (626)358-1159 or www.monroviacc.com. Like us on Facebook and get regular info and updates on this event! Save the Date! With plenty of craft beer, wine sampling and live music, join the San Gabriel Valley community as we celebrate the 4th annual Monrovia Station Beer, Wine & Music Festival. This event is coming to Station Square Park on September 7 2019 from 5-8pm.